Ian is a writer, teacher, script editor and story consultant whose recent writing projects include an epic animated feature based on Ariosto's Orlando Furioso and a contemporary psychological thriller. Both are slated for imminent production. Ian has recently written and produced his own short film. He has worked as a consultant for the UK Film Council's Premiere and New Cinema Funds, the First Film Foundation, the Script Factory and many other bodies and producers. He is currently overseeing a horror feature to be shot on location in Italy, developing a science fiction feature with a leading director and working on a collection of short stories. Ian is also an illustrator. 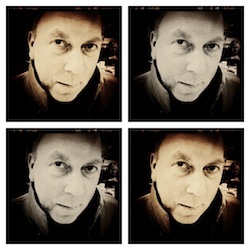 For Euroscript Ian heads up the Feedback Services and teaches Genre workshops - Horror, Science Fiction and Thrillers with a special side order of Creating Fear in Cinema. Additionally he teaches script reading and assessment. A: 'There are eight million stories in the naked city. This is just one of them.' (The Naked City). Q: What’s was your guiltiest cinematic pleasure? A: Watching 'Raintree County, on acid when I was 21. Feeling as if I'd lived through the entire American Civil War. Q: What’s the worst distraction as a writer? Q: Where do you like to write? A: In a ruined monastery on a hill, surrounded by dense woodland. Q: What’s your favourite film? A: Today, it's 'Singin' In The Rain'. One of those films where every element seems to be perfect. Q: What’s your most memorable action scene in a film? A: Ambushing the train in 'Lawrence of Arabia'. Peter O'Toole striding along its roof afterwards, wearing a white burnous. A: Kathleen Turner and William Hurt in 'Body Heat'.